Myth #1 – Lightning never strikes the same place twice. Fact – Lightning tends to strike the same places over and over. It’s hard to say why exactly (because, nature) but scientists believe it has something to do with the soil composition, proximity to nearby bodies of water, and geographic location. Myth # 3 – Lightning rods attract lightning. Fact – Lightning rods (and the system they are attached to) provide a safe path to ground for lightning. Lightning causes damage when it meets resistance. 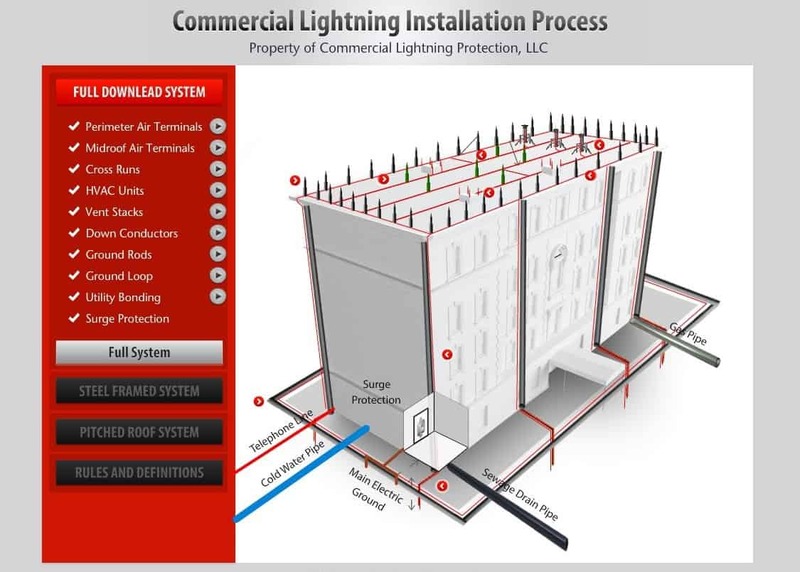 The purpose of a well-designed lightning protection system is to minimize that resistance and give lightning a quick, low resistance path to ground. Myth # 4 – Lightning rods ARE the lightning protection system. Fact – Lightning rods, or air terminals, are one part of a lightning protection system. A complete Franklin system includes several important elements. Lightning rods are connected to high conducive, but passive conductor to complete a roof system. The conductor then continues down the sides of a structure, where it is connected to the grounding system, which ensures the lightning makes it safely to ground without meeting resistance, where it can dissipate without causing damage to the structure.